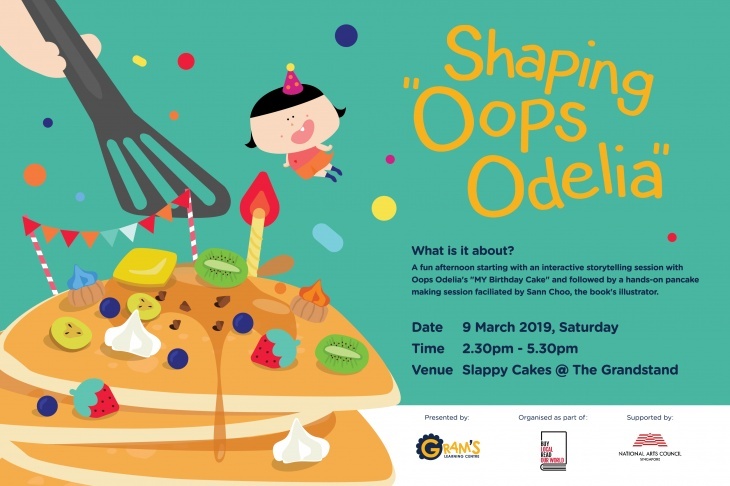 Kickstart the afternoon with the team behind Oops Odelia with a storytelling session of their 2nd book, MY Birthday Cake. A short quiz follows before the highlight of the afternoon - a hands-on pancakes session where event participants can learn from the illustrator of the Oops Odelia series. Through a live demonstration, learn the techniques of illustrating the protagonist in the storybook series. *Please note that tickets are required for children above 3 years of age. A pair of tickets can admit 2 adults and a child below 3 years old, 2 adults or 1 adult with 1 child. For safety reasons during the pancake making hands-on session, children below 9 need to be accompanied by a paying adult. A Singlit $10 voucher will be given for every pair of tickets purchased (i.e. $30 for a pair of tickets with one $10 Singlit voucher). The vouchers can be used at our Singlit book sale during the event or any Singlit participating bookstores.